At about 2 p.m., a 56-year-old man confronted a 25-year-old man in the 2800 block of Spring Street. The older man stabbed the younger man during the fight, according to the Paso Robles Police Department. 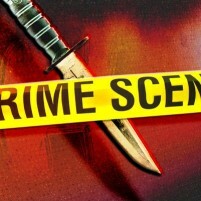 The stabbing victim suffered non-life threatening injuries and was taken to the hospital. The suspect suffered minor injuries during the fight and was also transported to the hospital in an ambulance. Police learned of the fight after a citizen alerted a sheriff’s deputy who was in the area. It is unclear whether officers have made an arrest. Authorities have not disclosed the names of either of the men involved. An investigation into the incident is ongoing. Thanks for the info. 2800 block of Spring St. does not qualify as downtown though. This is hardly “downtown”. Downtown Paso is at the most, 10-14th streets. Most people don’t bother doing much past about 24th and Spring St, and that’s only because 24th is the main road from the lake, to Highway 46E. Most people I know won’t even use the on/off ramps at the north end of Paso, because that’s not a part of town they want to go through. I’m honestly surprised somebody in the North end of Paso even flagged down a sheriff to report the fight.